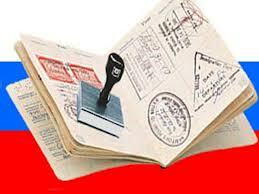 Documents Needed For Visa Application - Haba Naija! After you complete your visa application forms, you would be required go send some additional documents, some letters, and some original documents, as failure to do so will lead to your application being delayed or being denied totally. And only documents that do not have any security authentication mark would you be allowed to present the photocopy. Here are some of the documents you would be required to present to have a good chance of your visa application to be granted. 2. (If on invitation by an individual,) a copy of the bio-data page of the passport of the person inviting you. 10. (If self-employed,) evidence of your business activities and financial standing. Note: if you are not working you should include financial documents of the person who is supporting you; if someone else is paying for your trip, You would be expected to explain why you are being sponsored and to demonstrate how your sponsor will benefit from your trip. Warning! Avoid vast Money Lodgement (especially if it makes the majority of your finance), you will be refused without question. 18. (If applying to join a spouse,) Evidence of relationship and communications or correspondences with your spouse: i.e telephone details; emails; posts or/and photos of both of you together. 20. It is very important to be able to show Ties or Obligations to return to. 21. (If an undisclosed ex-convict) The official record of any conviction(s), detailing the crime(s) you were convicted of and the sentence(s) you received.